Golden Fields and the infamous Lobster Roll… | 15,000kms of Food! Golden Fields was delightful. Sunshine was streaming through the windows, into the minimalist and open restaurant when I was there for lunch (which btw, you can book for!). 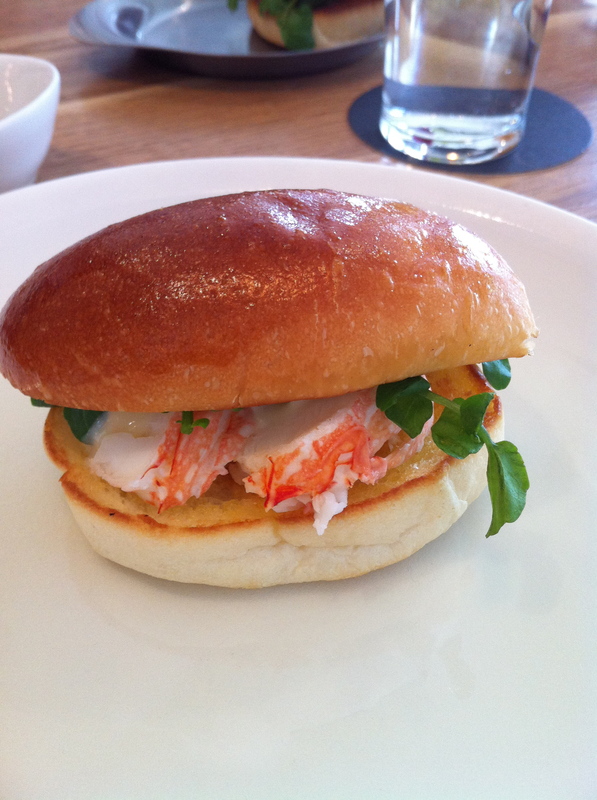 Started with the infamous “New England lobster roll, hot buttered bun, cold poached crayfish, watercress and Kewpie” which was everything that was promised. It was light, tasty and perfectly balanced. My only criticism is that it was tiny, and costly! I could have easily had 2 more of these puppies. 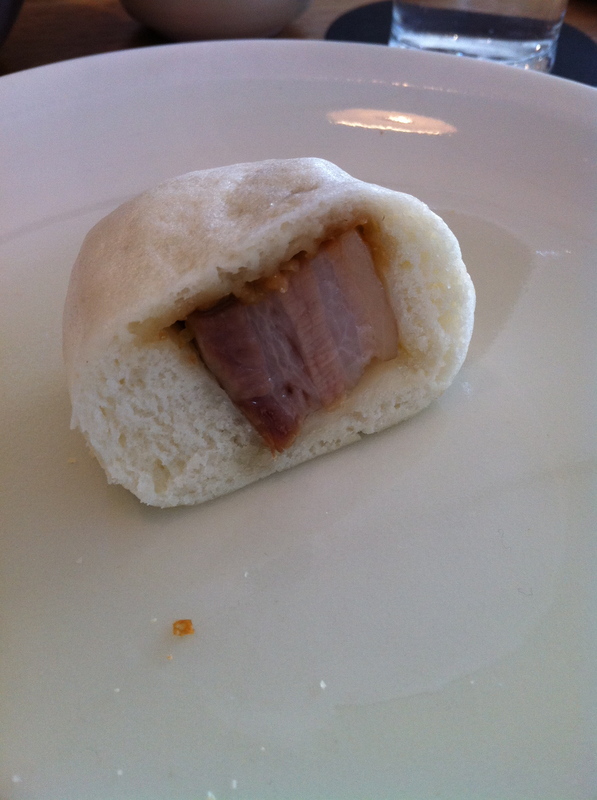 Next up we had “Pork belly in white bread bun” which was delicious! Tasty braised pork belly in soft fluffy white bread… mmmm! “Crispy skin duck, steamed bread, and plum sauce” was delicious – the duck was crispy and salty, and there’s nothing like constructing your own sandwich of duck meat, hop sin and cucumber. The steamed bread was not as well done as it could be, there was just something a bit off about them in appearance, but when in my mouth, it tasted awesome! Dessert was “Peanut butter parfait, salted caramel and soft chocolate” and this tiny packet packed a punch! 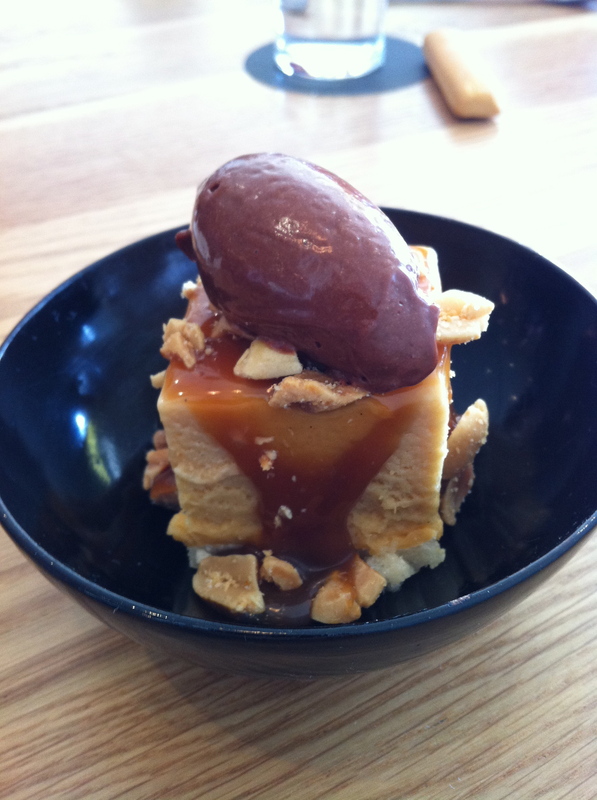 Salty peanut butter with sweet caramel and chocolate – divine! Lunch was great, with the crowds being less evasive then the evening sessions and the food being delicious. The only thing I wished for was more food! Definitely going back to have more lobster rolls, and to try other things on the menu! I have to go there! That pork belly bun is very reminiscent of Momofuku! Must try it out! 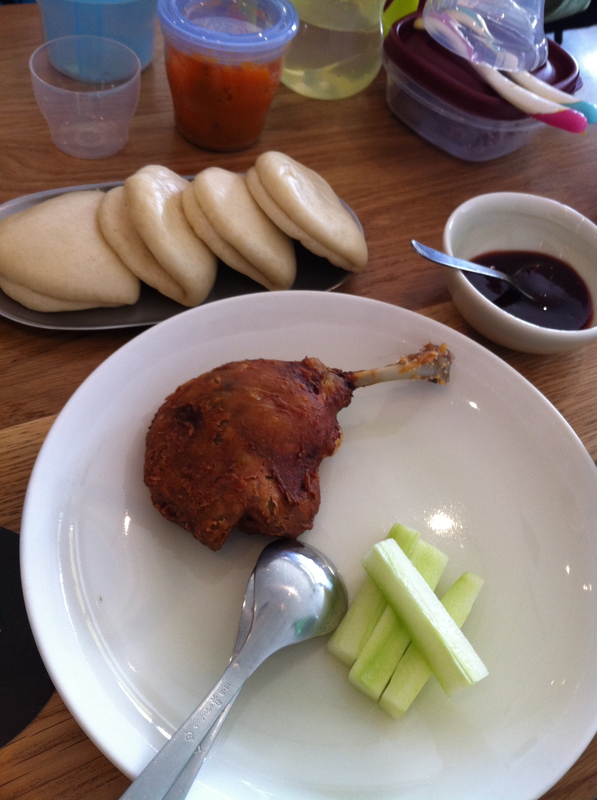 The duck with steamed bun was so similar to Momofuku pork belly with steamed bun but unfortunately not as good! Thanks for checking out my blog and let me know how you go when you try out Golden Fields! I’m hoping to visit this place tomorrow – looking forward to finally trying their famous lobster rolls!